This isn't a recipe so much as a formula for invincibility. Maybe not quite though. I won't wax poetic about the power of healthy fats; I won't demonize quick carbohydrates. I'll simply say that I have way more energy and pep in my step when I eat a morning meal of eggs and healthy fat than one of grains or sweet bready things. When my breakfast consists mainly protein and fat, my brain just seems to work better and the hunger gremlin (or is it ghrelin?) doesn't start begging for lunch quite so early. Hear this: a recent study gave a group of overweight teenage boys one of three breakfast meals: eggs, steel cut oats, or instant oatmeal. Unlike the egg and steel cut oat eating groups, the instant oatmeal group saw not only sharp rises in blood sugar, but also spikes in norepinephrine (a stress hormone!) following the glucose spike. Eggs (hard-boiled, scrambled, poached, fried, etc.) – satiating protein staves off hunger and keeps hormone levels more stable; eggs also provide many essential amino acids our bodies need to function at their best. Eggs provide one of the highest biological value protein sources, meaning our bodies have an easy time turning it into muscle or using it for tissue repair. Greens (kale, spinach, collards, Swiss chard, arugula, etc.) – Dark greens gives us a wonderful cornucopia of vitamins and minerals. They're tasty, nutrient dense, and support top-notch brain function. Healthy Fat (pumpkin seeds, olive oil, avocado, whole milk yogurt, grass-fed butter, etc.) – Like protein, fat is satiating; of the macronutrients, it takes the longest to digest so hunger won’t strike as quickly and blood sugar levels will stay at an even keel. Our brains are nearly 60% fat and we know that fatty acids are among the most crucial molecules that determine our brain's integrity and ability to perform. BONUS: Omega-3s (smoked salmon, tuna, walnuts, hemp or flax seeds) - These amazing fats fight inflammation, helping our bodies to more efficiently manage stressors and making the body’s stress response system more flexible and resilient. Omega-3s help cells in the brain communicate better and protect neurons against the damage caused by high levels of stress hormones over a long period of time. 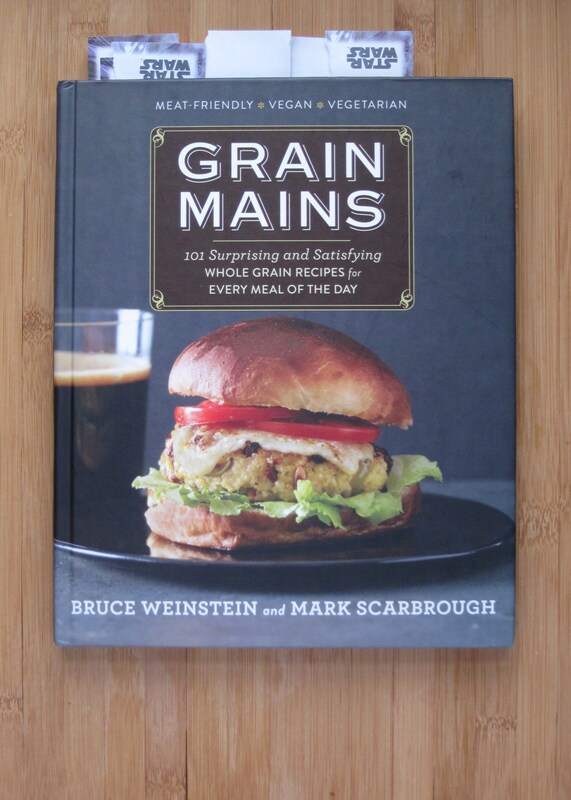 I got this cookbook, see? And I’ve been browsing its pages over the past couple weeks, filling my head with visions of barley mac n’ cheese, polenta coffee cake, and quinoa date bread. There has been a mini-miracle as well. Do you ever have those quietly lovely internal celebrations when you read through an enticing recipe and realize you presently have every ingredient it calls for? I do. I did! And so I made this. The cookbook titles this recipe Syrian Sliha. According to the authors, Sliha is a dish eaten by Damascus Jews to celebrate a baby's first teething… interesting, no? It wasn’t so much the name of the dish or its backstory that grabbed me, but the beautiful array of colors and textures boasted by the gorgeous full-page photograph. …and the fact that I auspiciously had every last thing on the somewhat exotic ingredient list. 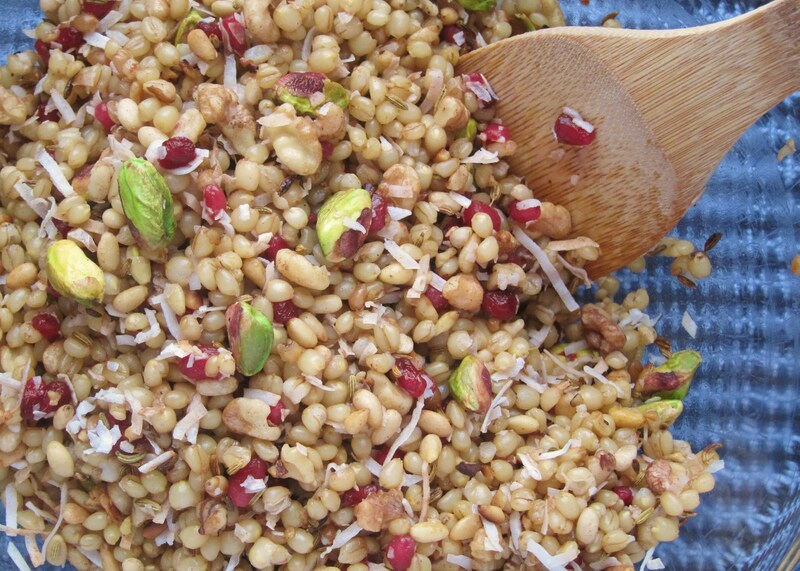 This grain salad of sorts brings some serious flavor to the breakfast table. Its lead character is soft white wheat berries*, a varietal typically used to make one of my favorite flours: whole wheat pastry. 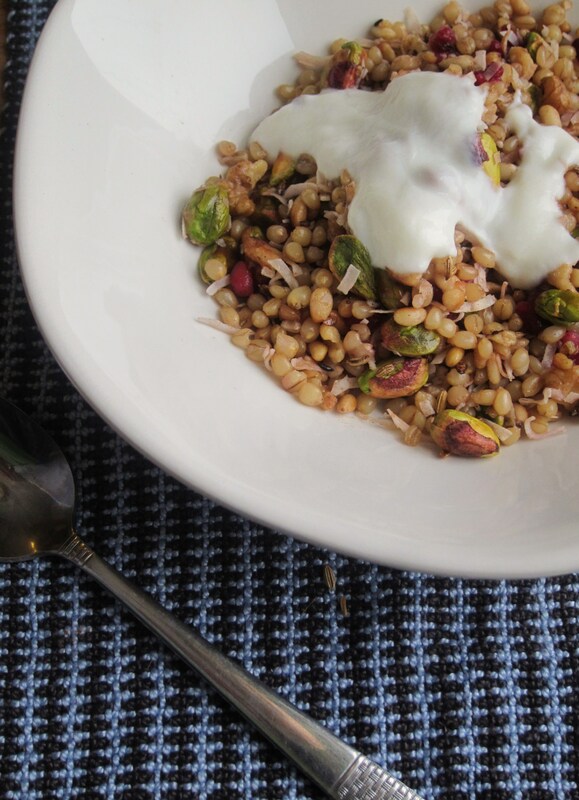 Wheat berries are satisfyingly chewy and slightly sweet with a hint of nuttiness which echoes the toasty pistachios, pine nuts and walnuts. Then of course come the toasted fennel seeds, lacing the dish with a haze of anise, the shredded coconut, lending tropicalness and texture, and pomegranate arils: the perfect juicy-tangy foil for all those rich nuts. Cinnamon, maple syrup, and coarse salt round out the closest thing your taste buds may ever experience to a full-on breakfast rock symphony in surround sound. Oh please, don’t let me forget the yogurt. After everything I just said, this dish is nothing without a very generous dollop of whole milk yogurt atop its colorful peak. I’m not kidding. If you don’t have access to yogurt, don’t even make this. Sliha on, Wayne! *Wheat berries are fully intact wheat kernels (aside from the inedible hull) and are the most unprocessed version of wheat you can buy in the supermarket. Wheat berries, like many whole grains, are an excellent source of fiber and B vitamins. They also contain some healthy fats, yeehaw! 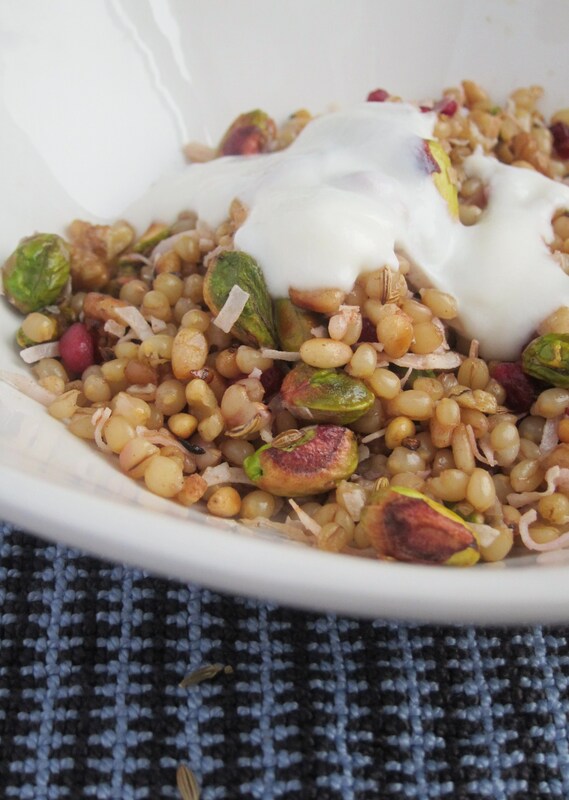 Because of their toughness, wheat berries typically work best when soaked before cooking. Anywhere between 8 and 12 hours of soaking in lots of room temperature water should do the trick. I like to soak and cook a big batch of grains on the weekend to help me through busy weeknight dinners. Note: I altered “Grain Mains’” recipe by reducing the amount of nuts by half (for calories’ and economy’s sake) while bumping up the coconut and pomegranate. 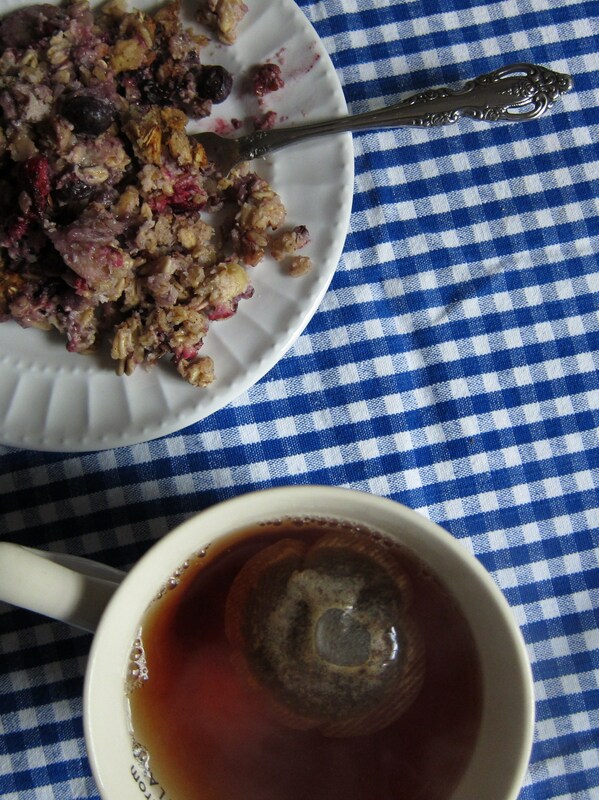 I chose maple syrup in place of white sugar and toasted the fennel seeds and added them at the end rather than boiling them with the wheat berries as the original recipe suggests. 1. 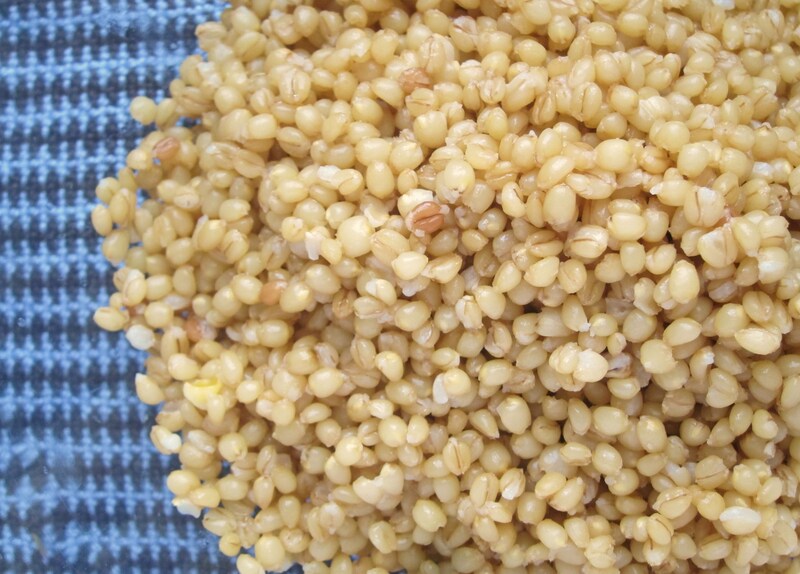 Dump the soaked and drained wheat berries into a medium saucepan and cover grains by at least 2 inches of water. Bring to a boil over high heat, then reduce the heat to low and simmer until the grains are just tender, about 50 minutes. 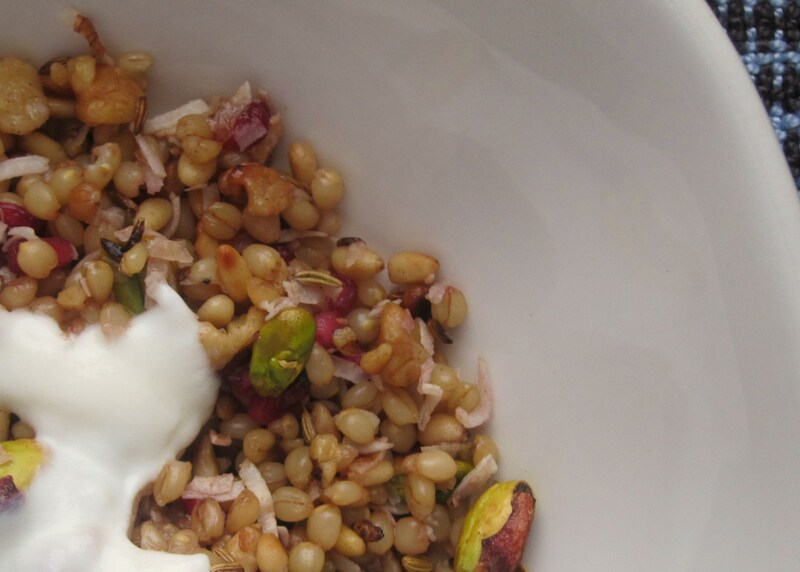 The wheat berries should barely dance in the water while cooking. Drain the grains in a small-holed colander. 2. 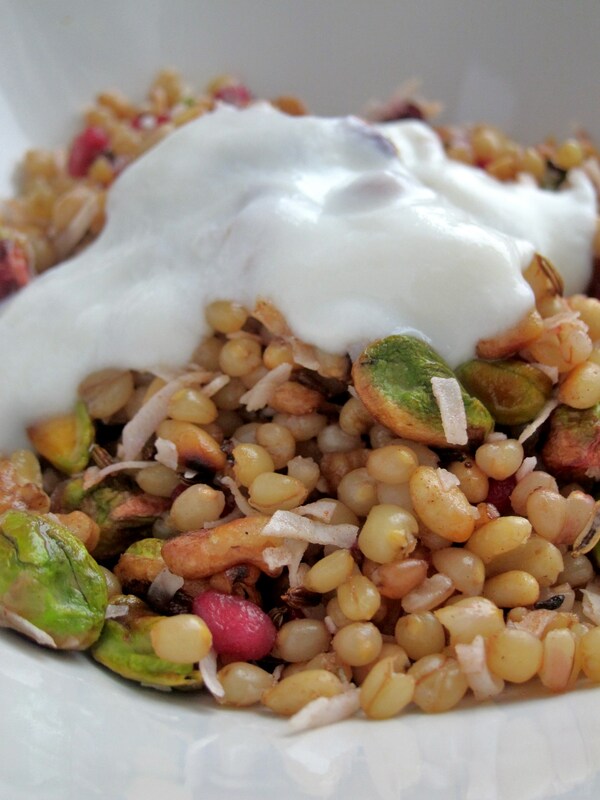 While the wheat berries cook, combine the fennel seeds, pistachios, pine nuts, and walnuts in a skillet over medium-low heat. 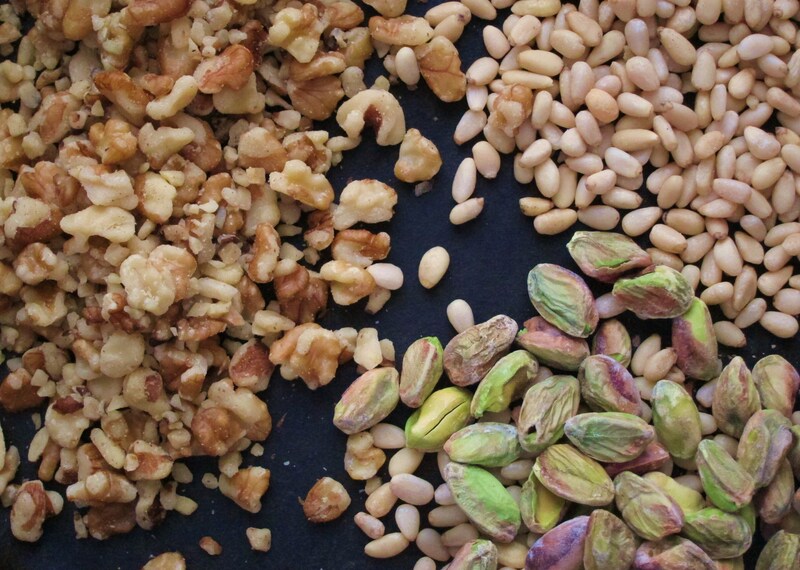 Toast the nuts and seeds, stirring occasionally and guarding them with a watchful eye and alert nose, until they are lightly browned, 3 to 4 minutes. We’re hurdling toward the end of autumn. I’m waist-deep in my new schooling, a couple of part-time jobs, and the joys of being a new wife. There aren’t many mornings when I’ve got time to concoct more than a couple fried eggs or a bowl of jam-swirled yogurt for breakfast. Gone are the summer days when I would rise without an alarm clock, wander into the kitchen and get creative with my day’s first meal. 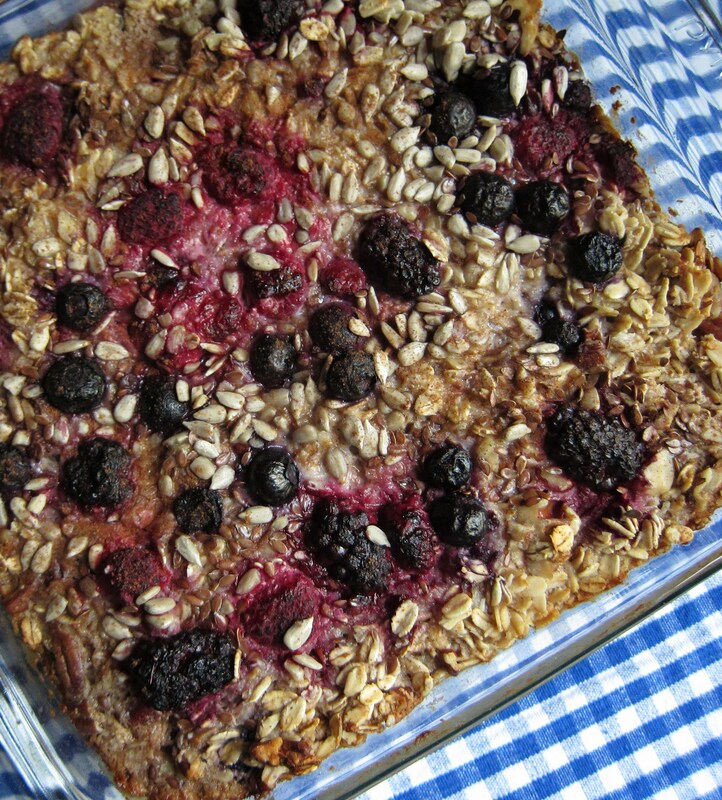 My camera is filled with photos of breakfasts past: French toast topped with smashed raspberries and basil, buckwheat waffles with sloppy strawberries sunk down in their squares, and cinnamon swirled baked oatmeal... Oh, the baked oatmeal. It’s the breakfast that keeps on giving. You enjoy it once, arguably at its best right from the oven, and then it tamely sits in your fridge and offers itself as an after workout snack, a midnight treat, or an on-the-fly breakfast throughout the week. Make it on Sunday evening, when it starts to get dark way too early. It's just the right time for comforting wafts of vanilla and cinnamon to rush to in and let you know that you'll make it through another week. That the holidays will be delightful, not stressful. That shorter days mean longer nights to cuddle with loved ones and sip spiked eggnog and watch Office reruns. That sounds about right. As I mention below, any kind of fruit will work in this forgiving dish. Just make sure if you’re using frozen berries that you let them thaw (or microwave them if you’re impatient like me), and then drain off some of the juice. Pear and apple would be really nice right around this time. You could also dream of the tropics while tossing in pineapple chunks and dried mango. Happy weekend! Preheat the oven to 375°F with a rack in the top third of the oven. Generously butter or coconut oil the inside of an 8-inch square glass baking dish. In another medium bowl, thoroughly whisk together the wet ingredients. Line the bottom of the greased baking dish with banana slices. Top bananas with ½ cup of the fruit. Pour the dry ingredients over the fruit, and then slowly drizzle the wet ingredients over the dry ones. 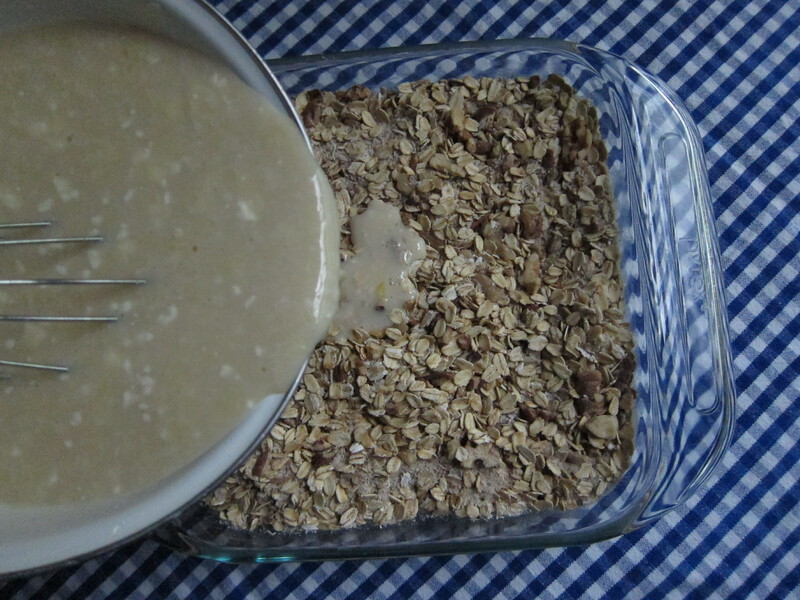 Smack the dish on each side a few times so milk mixture seeps down to the bottom and gets in all the oat-y crannies. Scatter remaining fruit on top, then sprinkle with flax seeds, sunflower seeds and coconut. For an extra sparkle, finish with a few pinches of coarse sugar. 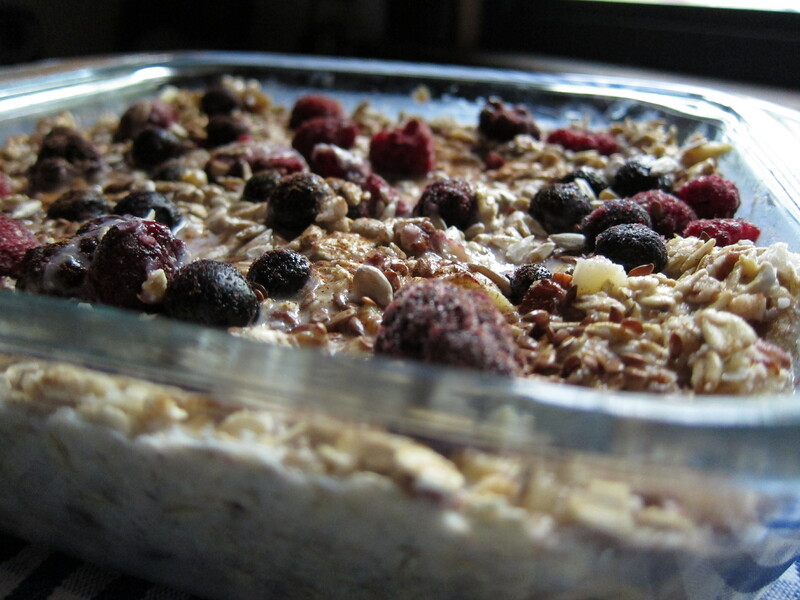 Bake for 35 to 45 minutes, until the top is gorgeously golden and the oatmeal has set. Remove from the oven and let cool for a few minutes. Drizzle the remaining melted butter on the top and serve with a side of additional maple syrup and milk.